I remember chatting to someone on twitter in the early days of my pregnancy and they were 16 weeks and thinking, ‘gosh, will I ever be that far along? !’ and now here we are! I know I’m still a bit behind in publishing my posts (I’m trying to do one per day but you know, sometimes life happens!) 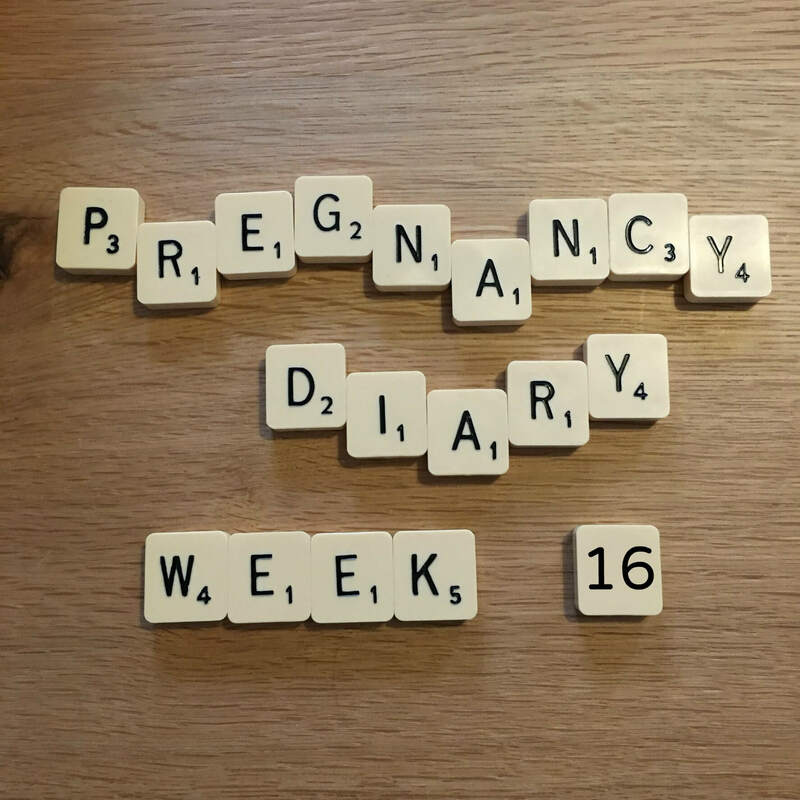 so week 16 actually encompassed Christmas Day and all of the craziness that goes with it! Hub and I managed to produce a pretty decent turkey dinner despite me being pregnant (mum seemed to think being 16 weeks pregnant might somehow prevent me from achieving this feat!) and we had both sets of parents with us for Christmas dinner. There was lots of ‘it’ll all be different next year’ being bandied about! The day was going swimmingly until I opened a maternity/baby-related gift voucher from hub’s parents and father in law said, “so don’t let us down!” I responded, “Do you mean by losing the baby? Because I have no control over that! !” I didn’t let it upset me too much because I know he didn’t really mean it and things like that do tend to just fall out of his mouth, but it does show how some people (particularly the older generation) think the woman is somehow at fault if something goes wrong during pregnancy. He also said ‘well done’ when we told him we were expecting! Hopefully everything will be fine and he’ll have the sense not to make too many more similar comments for the remainder of the pregnancy!